We are a noteworthy Manufacturer, Supplier, and Exporter of Small Marble Handle Knife. We carry out our operations from Rajkot, Gujarat, India. We pack it in a high-quality packing material. We use the superior grade of materials and latest techniques for manufacturing these knives. 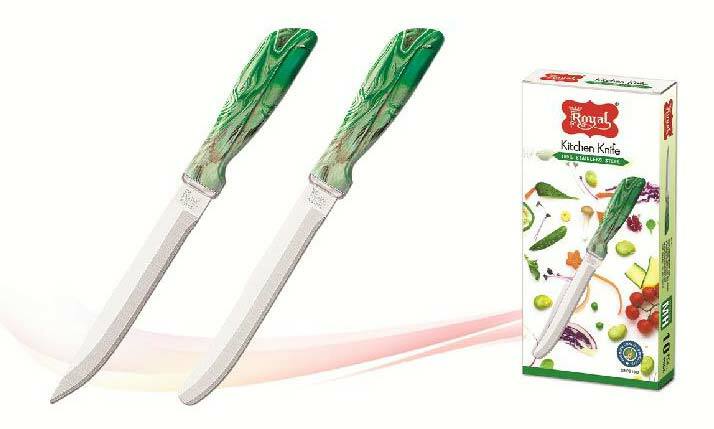 Owing to their great performance, durability, and perfect finish, these knives are profusely demanded by the leading hotels, restaurants and other establishments.